Source: Advance copy from NetGalley! Synopsis: For identical twins, Kate and Violet are about as unlike as two peas from the same pod can be. Except in one respect – they share a hidden gift they call ‘the Senses’, a special kind of intuition that can allow them to see things that are yet to come. After Kate inadvertently reveals their secret when they are thirteen years old, they are set on diverging paths into their adult lives. Twenty years later Kate is a suburban housewife who suppresses her premonitions in the hope of leading a normal family life, while Violet lives alone and works as a psychic medium. Then one day Violet ignites a media storm by predicting a major earthquake in the St Louis area where they live. As the day Violet has announced for the earthquake draws nearer, the sisters must grapple with the legacy of the past, the confusion of the present, and the unsettling glimpses they both have of the future. Let me start by saying I loved Sittenfeld’s American Wife. Brilliant stuff and the people I know who’ve read it loved it as well. On the opposite side, I wasn’t a fan of Prep. For me, Sisterland was sort of the Goldilocks of the three novels… it was solid and enjoyable but it didn’t wow me like American Wife did. Sisterland is one of those funny books, where for the duration of the novel I found myself rooting for one character (Kate) until nearly the end at which point I began to dislike her a bit more than strongly. Sittenfeld does a brilliant job of crafting Kate’s reputation and demeanor and then in a single instant turning her whole image upside down. I didn’t really like Vi much at the start and didn’t like her much more at the end–she stayed relatively constant (and flaky) for me. Courtney I absolutely abhorred; I won’t deny that I love to hate a character! One of the most enjoyable bits of this book is how Sittenfeld builds up to the predicted date of the earthquake with mundane, everyday occurrences, flashbacks and mixes it all with a dash of an insidious sense of panic which grips Kate (aka Daisy). In the days leading up to the date of the earthquake, I found myself hooked and reading pages faster than I could turn them. Would Vi’s prediction come true? Would St. Louis indeed be rocked by a cataclysmic earthquake. Or, I began to ask myself, reading between the lines, would the earthquake be of a different sort? More than the physical turmoil and upheaval brought by violent acts of nature, Sisterland is just as much about destruction and change of another kind–of the self and the relationships we hold most dear. 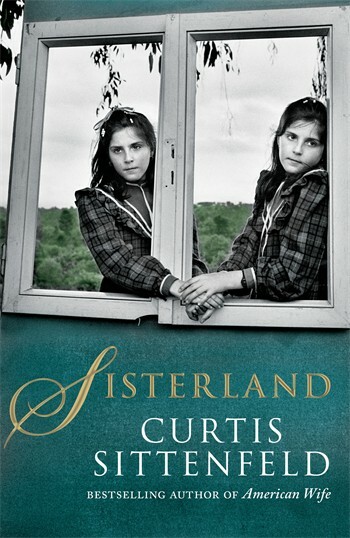 Sisterland is out June 6 in the UK and June 25 in the US.